Ask your contractor how to recycle old or leftover materials. And where possible, specify new products that feature at least 25 percent post-consumer recycled materials. 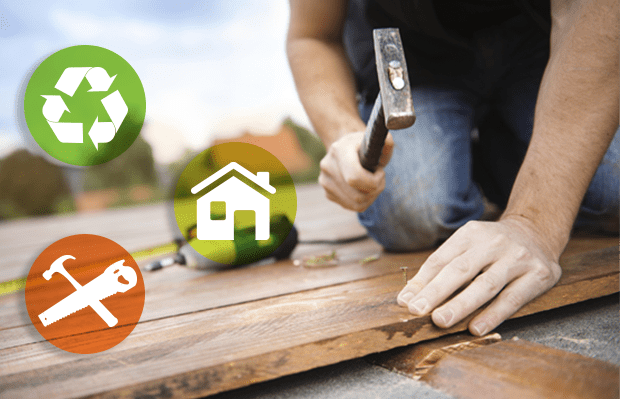 Some materials, such as composite decking, often contain recycled plastic resins and can be recycled again. The same potential exists for old copper or brass pipe, electrical wiring, and aluminum or vinyl siding. Purchase recycled supplies from second hand building stores, such as Habitat for Humanity ReStores. Not only will you save up to 80 per cent – compared with buying new – you’ll also be helping to decrease the amount of refuse ending up in overcrowded landfills. 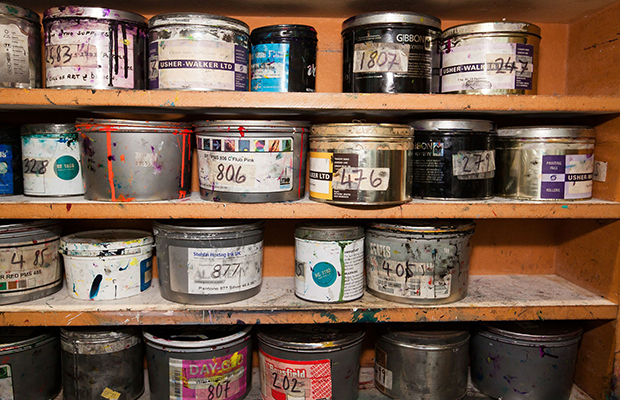 What do you do with hazardous waste like leftover paint and empty paint cans? It’s important that you not wash these items into your waste disposal where it might leak into local streams or pollute ponds. The paint and empty cans should be carefully disposed of at your local hardware store or contact your solid waste provider. Are there items you simply can’t stand to put back into your remodeled home? Perhaps there is a row of cabinets from the master bathroom that you hate. Instead of throwing them out, consider donating them to an organization such as Habitat for Humanity, or reuse those cabinets in your garage where you don’t mind how they look. By salvaging building materials, and recycling as much as we can of what’s left over, we can reduce our environmental impact while renovating! Happy Renos!